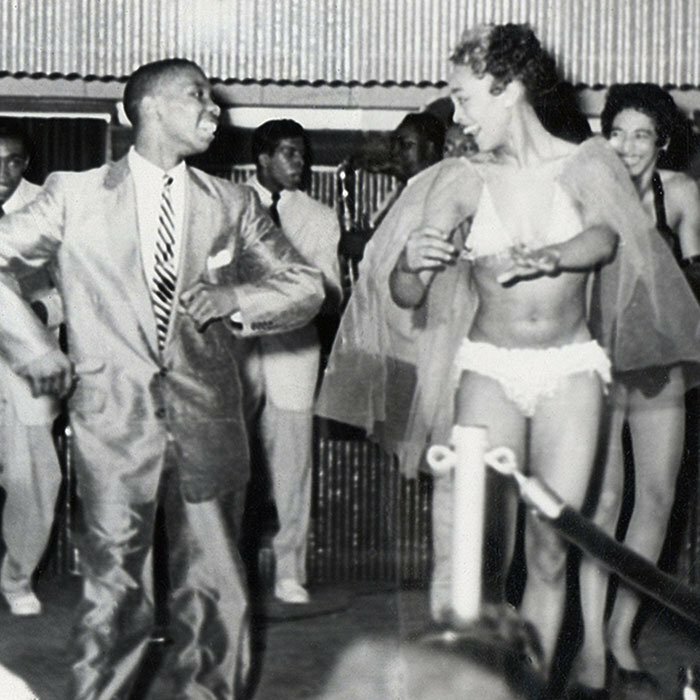 The racism of the early twentieth century kept America’s black middle class away from most of the resorts, restaurants, and clubs enjoyed by their white counterparts. But in the forest of northwest Michigan was a place apart, a “Black Eden” known as Idlewild. Here, black writers, thinkers, physicians, and entrepreneurs found a safe haven where they could escape the toxic weight of racism and segregation and simply relax. It rose to prominence as a meeting place for black intellectuals and reached national fame as a place to see and rub shoulders with some of the most famous black entertainers of all time. But the Idlewild Resort was first conceived by white business people who saw an opportunity. In 1912, four white couples, two from Chicago and two from Michigan, formed an alliance called the Idlewild Resort Company (IRC). 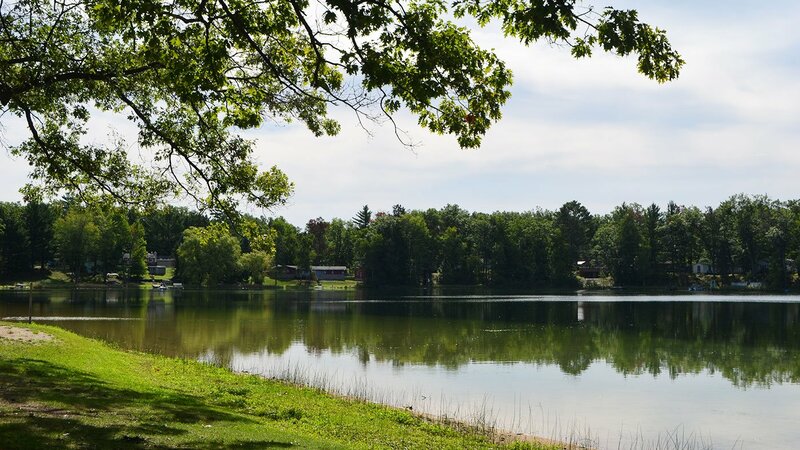 One of them, a Michigan man named Erastus G. Branch, homesteaded a plot of land along a peaceful mile-wide lake (then called Crooked Lake) then surrounded by undeveloped forest. In 1915, the IRC began purchasing and platting additional land, eventually acquiring more than 2,700 acres. They posted ads in regional black newspapers such as the Chicago Defender touting Idlewild as a “hunter's paradise" renowned “for its beautiful lakes of pure spring water” and “its myriads of game fish.” They hired African American salesmen and women to promote the resort, and in 1915 organized trips from Chicago, Detroit, and Cleveland so that prospective buyers could see it for themselves. It worked. The promise of what Idlewild could be attracted some of the most well-regarded African Americans of the time. One of the first to purchase property there was Dr. Daniel Hale Williams, one of the founders of Chicago’s Provident Hospital and the first surgeon in the U.S. to successfully perform open-heart surgery. 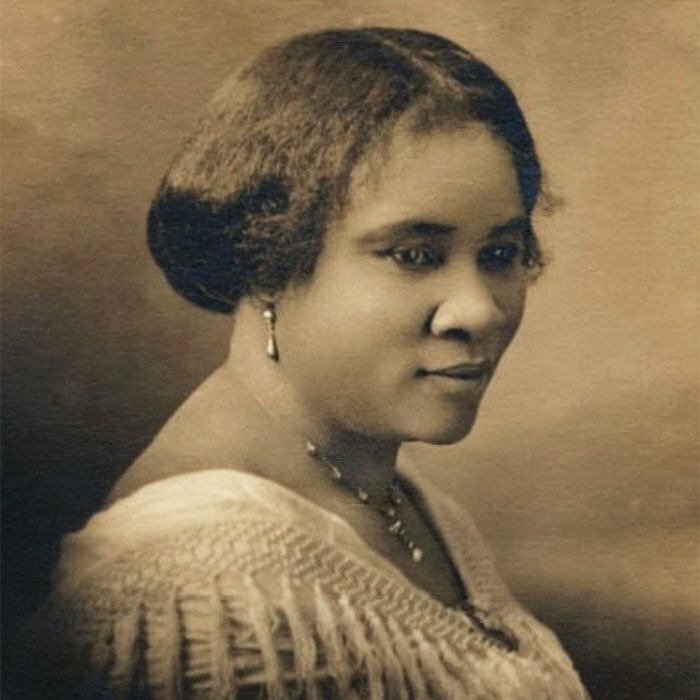 Williams was soon followed by Madame C. J. Walker, whose beauty supply company made her the first woman and the first African American to become a self-made millionaire. In 1920, W. E. B. Du Bois, famed civil rights activist and co-founder of the National Association for the Advancement of Colored People, also visited Idlewild and bought his own piece of land. In a few short years, Idlewild became a safe and celebratory place where America’s black intelligentsia could gather in the summer on their own property and on their own terms to debate, network, and breathe fresh air. 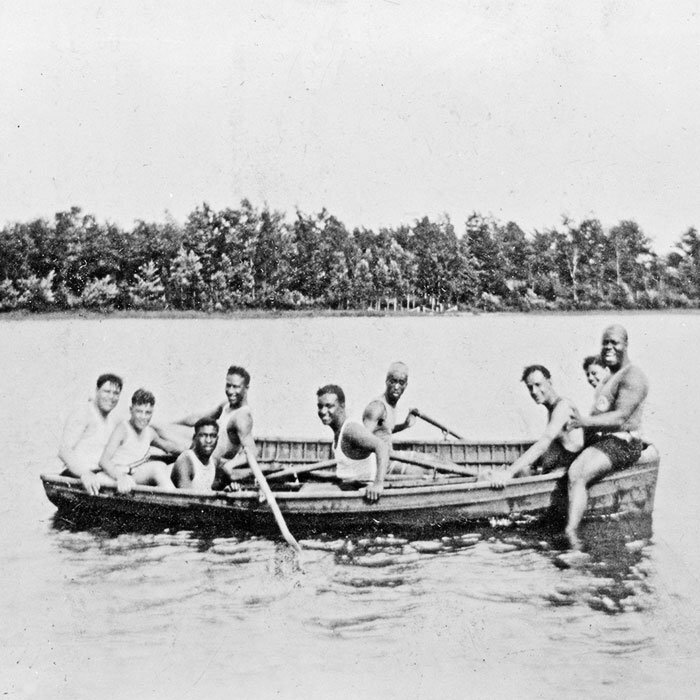 In 1921, the original developers, of whom Du Bois spoke highly in the NAACP publication The Crisis, turned ownership and management of the resort over to the Idlewild Lot Owners Association, run by Idlewild’s new African American property owners. In 1923, the Pere Marquette Railroad extended a branch line to the area. Meanwhile, shops, taverns, and entertainment venues proliferated. For a time, members of the NAACP organized annual Chautauquas during which people from all over the country gathered in Idlewild to enjoy a host of recreational and intellectual events. “They would talk about the critical issues of the day as they affected African American entrepreneurs and individuals,” said Stephens. But it didn’t attract only intellectuals. Prominent black business people gravitated to the place, as did artists such as Louis Armstrong, who purchased a home there in 1928 and later wrote in his autobiography of the fun he had swimming and horseback riding. 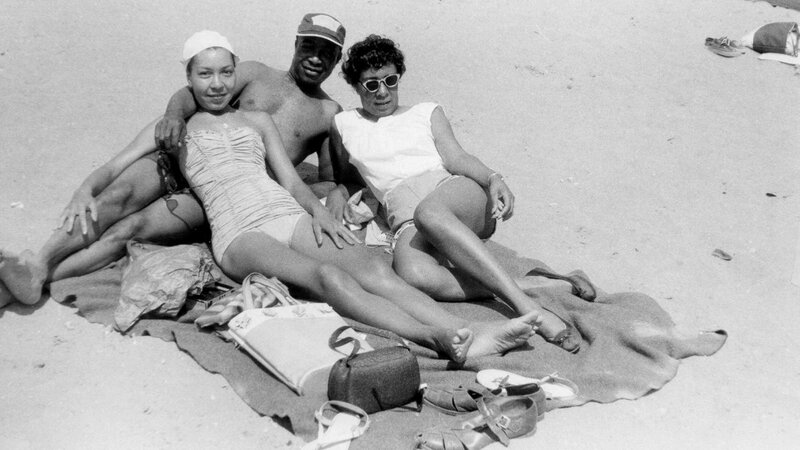 Everyone from mobsters such as Chicago’s Jones Brothers to Violette Neatley Anderson, the first African American female attorney admitted to practice before the U.S. Supreme Court, became homeowners or regulars on Idlewild’s shores. Soon, the Idlewild Lot Owners Association included among their members property owners from more than 30 states. “They felt like they had arrived at Heaven on Earth. It was a safe haven. Everyone felt like they could let their hair down and relax, and they felt secure,” Stephens said. ...for sheer physical beauty — for sheen of water and golden air, for nobleness of tree and flower of shrub, for shining river and song of bird and the low, moving whisper of sun, moon and star, it is the beautifulest stretch I have seen for twenty years; and then to that add fellowship — sweet, strong women and keen-witted men from Canada and Texas, California and New York, Ohio, Missouri and Illinois — all sons and grand-children of Ethiopia, all with the wide leisure of rest and play — can you imagine a more marvelous thing than Idlewild? 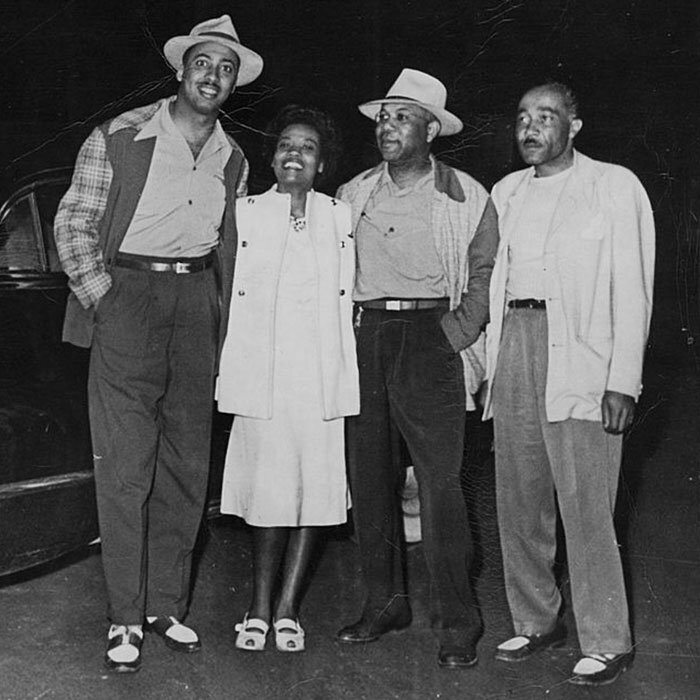 After World War II, the expansion of America’s black middle class inspired black entrepreneurs to invest heavily in Idlewild’s tourism industry. A roller rink opened, as well as additional motels, gas stations, and even bigger and more elaborate nightclubs. 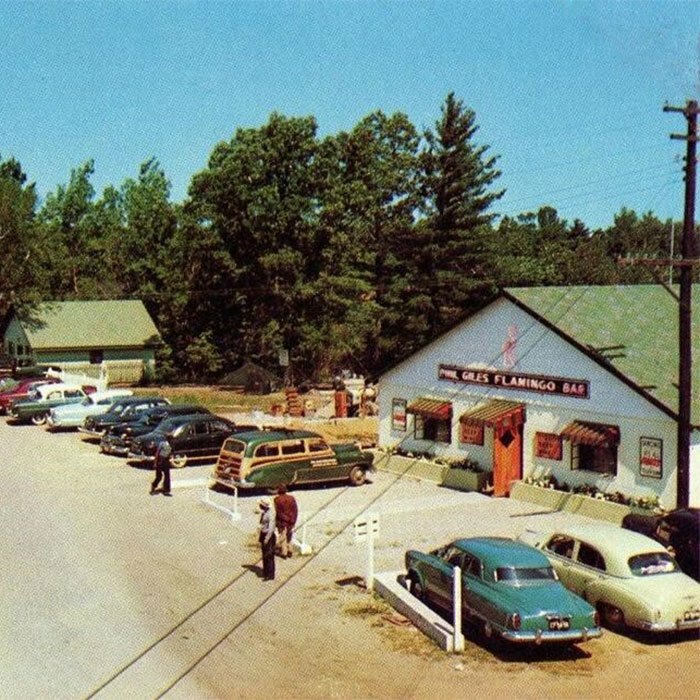 By the early 1950s, according to Stephens, as many as 25,000 guests converged there in the summer months. 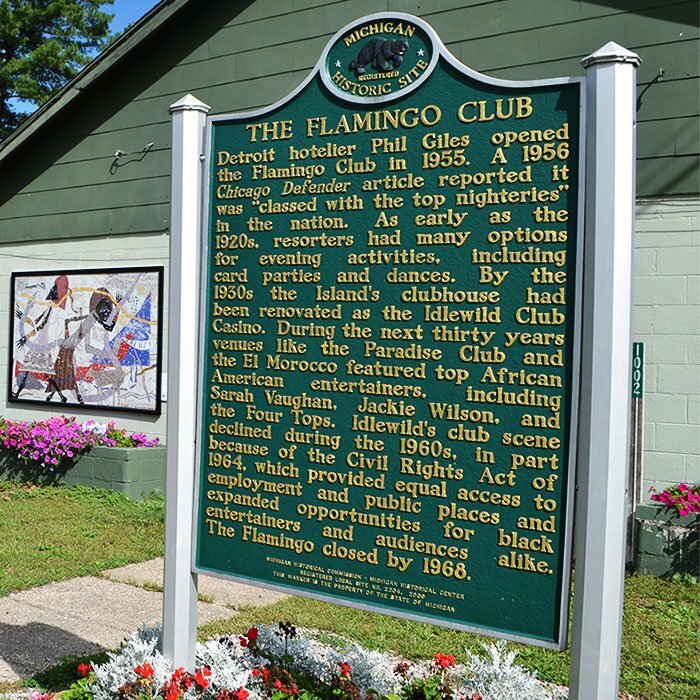 Detroit hotelier Phil Giles opened a new hotel as well as the popular Flamingo Club, while Saginaw businessman Arthur “Big Daddy” Braggs began orchestrating world-class shows at his Paradise Club. The elaborate productions, which included showgirls, singers, and entertainers of all types, helped earn Idlewild the moniker of the “Summer Apollo of Michigan.” The Arthur Braggs Idlewild Revue soon began touring the country in the off-season, making Idlewild a household name in places as far away as Oklahoma City, Montreal, and Boston. “Those were the days when my parents and relatives would dress up in their finery, and they would go out and see the entertainment,” said Florence Harris, a fifth-generation Idlewilder whose grandmother was one of the first lot buyers. She said that her grandmother took her and her cousins to the Paradise Club on Sunday afternoons for the family-friendly matinees. 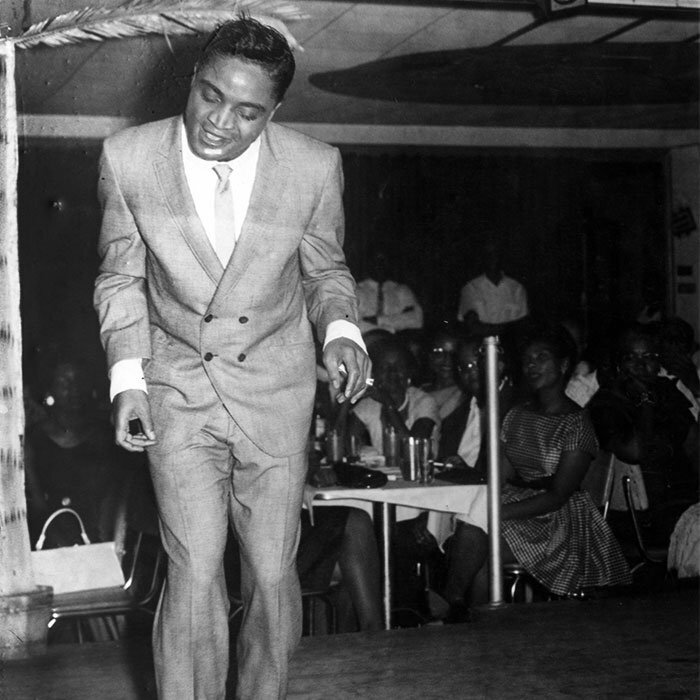 Idlewild also became a welcomed stop for many legendary black performers. The Four Tops, Jackie Wilson, Della Reese, B. B. 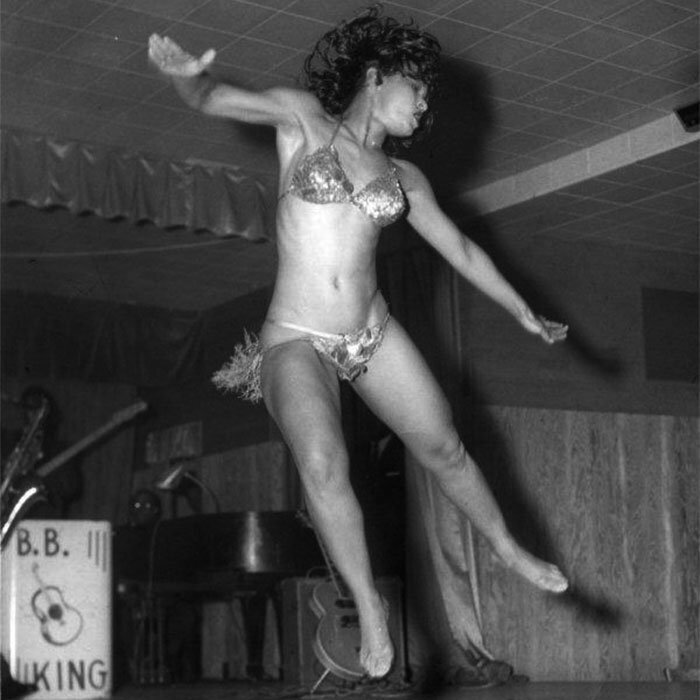 King, Cab Calloway, Etta James, Sarah Vaughan, and in later years, the queen herself, Aretha Franklin, all performed there, some of them repeatedly. Many also arranged extended stays so that they could enjoy the place or vacation there with their families. But soon after the passage of the Civil Rights Act of 1964, interest in Idlewild waned. With the new world of opportunities suddenly open to them, black vacationers began exploring locales they had previously only dreamed of visiting. “Once…we could go other places, we wanted to experience that, and we left,” said Idlewild retiree Carolyn Stevens, who has been coming to Idlewild since she was a baby and has since retired there. She said black vacationers branched out to faraway, previously restricted places such as Florida, Las Vegas, and elsewhere. 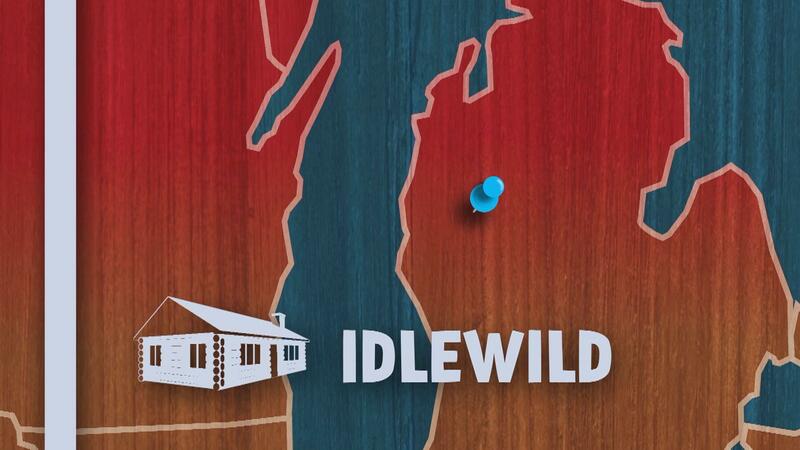 Today, Idlewild is home to a dwindling population of fewer than 1,000, most of them retirees with fond memories of summers spent there in their youth. More recent revitalization campaigns driven by the local community have led to the creation of the African American Chamber of Commerce in 2000, the Idlewild Historic and Cultural Center in 2003, and the installation of several historical plaques in 2009. And the National Idlewilders Club, which has local chapters in six cities (including two in Chicago), maintains the connections forged here decades ago with an annual festival. “It is deep in the hearts of the people who remember why Idlewild was necessary,” she said.